Cee Cee Lyle's the stewardess on flight 93 apparently had a husband. She calls him, and explains she's on a hijacked airplane. He says "I was lying down but didn't sit up until after she hung up? I must say if my wife calls me, and says she's on a hijacked airplane, I don’t believe I would be lying down during her phone call would you? He's actually not a bad actor. But we all know it's the script that makes a great movie. So he was in bed at near to 10AM and she was working. He mentions the two kids. Did they get up and go to school themselves while this lazy actor lies in bed all morning? Or were they too young for that and fending for themselves? Meanwhile he says that he ignored several phone calls before finally answering because he was in bed. Well at least he finally sat up and gave this absurd interview. I have to say that I'm enjoying 9/11 much more since finding out nobody died and everybody lied. "Flight attendant CeeCee Lyles called her husband at 09:47:57 and left him a message saying the plane had been hijacked." 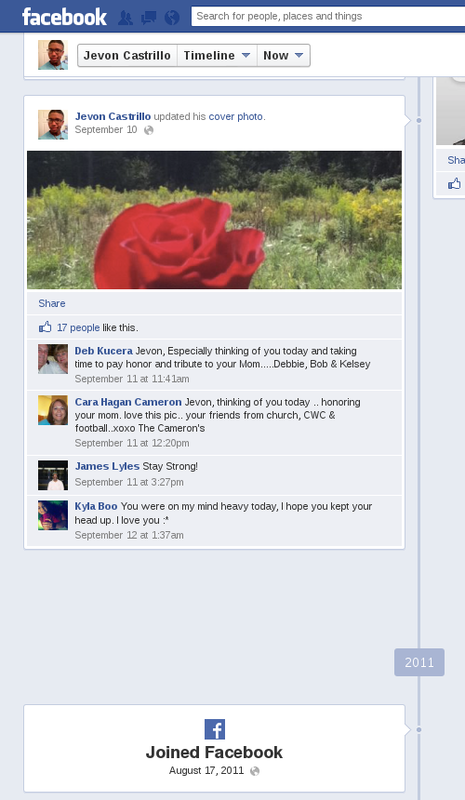 Included on this page is the purported message she left for him. So, he says they spoke and yet there is a copy of the message left while he was busy lying in bed. "CeeCee Lyles called her husband once more from a cell phone and told him the passengers were forcing their way into the cockpit". I guess with all the sleeping and dreaming he forgot about that. MrSinclair wrote: I have to say that I'm enjoying 9/11 much more since finding out nobody died and everybody lied. The Cee Cee Lyles (See See Lie) story --- with the whispered "you did great" as an actress thing --- was very interesting. I would not be so sure that nobody died on 9/11 though --- and I happen to think that millions of people have died since 9/11, as a consequence of 9/11. So the evil false flag fraud of 9/11, as a pretext for global mass-murder and a global illegal war of US terrorism, mainly against the Third World, is not enjoyable for me at all. I may be wrong of course and perhaps millions of people have not died since 9/11 and as a consequence of 9/11. I really don't think that the argument that the psychopathic terrorists who carried out 9/11 would NOT have wanted to kill anybody on 9/11 makes much sense to me. It appears, to me, to be an argument from the neurotic end of the humanoid "neurotic to psychotic" linear mental spectrum. The empathic neurotic mind probably cannot begin to see the world though the eyes of an extremely ruthless and a not-at-all empathic psychotic mind. The psychopathic feral humanoid “wolf type of mind” regards the domesticated (civilised) “neurotic sheeple creature” as his prey. Deserving of no “respect” at all. The psychopath does not care if he kills an American branded sheeple or an Afghan, Iraqi or Pakistani branded sheeple, because fundamentally the feeble-minded neurotic sheeple is his prey, whatever the “nationality” or “country farm where the domesticated sheeple was raised” might be! It may well be that Simon is correct that the advertised victims in the corrupt and evil mass media are "vic-sims" --- but I think that his conclusion that the psychopathic 9/11 terrorists somehow wanted to avoid a genuine human blood sacrifice and a genuine mass murder on 9/11 and since 9/11 ---- presumably "out of the goodness of their hearts" ---- could well be false, and somewhat naive. Whoever the actress really was who played the "Cee Cee Lyles" character on 9/11, I would be very surprised if she was permitted to stay alive after 9/11. What would be the point of keeping her alive? Obviously I would hope that she was murdered, executed, culled, put-down, in as humane a manner as possible, after her final telephone call, but I really cannot see why the 9/11 terrorist psychopaths would EVER want to leave these imbecilic collaborating "vic-sim actors" alive. "Man has the right to kill those who would thwart these rights." Andrew1484 wrote: evil..mass-murder..psychopathic terrorists..kill anybody..psychotic..extremely ruthless..psychotic mind..psychopathic feral humanoid ..wolf mind..psychopath..corrupt and evil..psychopathic 9/11 terrorists..9/11 terrorist psychopaths..human blood sacrifice..genuine mass murder..murder..execution..culled..put-down.."
Nurse, come quickly! Andrew1984 is relapsing and 'projecting' worse than ever! Wonkypedia wrote: Psychological projection or projection bias is a psychological defense mechanism where a person subconsciously denies his or her own attributes, thoughts, and emotions, which are then ascribed to the outside world, usually to other people. Thus, projection involves imagining or projecting the belief that others originate those feelings. reichstag fireman wrote: Nurse, come quickly! Andrew1984 is relapsing and 'projecting' worse than ever! Well if you are correct that I am "projecting" and that I therefore genuinely have a psychopathic feral mind, at the psychotic end of the neurotic to psychotic spectrum, a mind that views domesticated neurotic sheeple as my prey (although I may subconsciously wish to deny this ruthless predator-like attribute to my own mind) so what exactly is your point? Does your opinion of my mind in its place on that spectrum make it more or less likely that gross acts of "bad behaviour" like 9/11 were carried out by tame, neurotic, feeble-minded, domesticated sheeple ---- or by people with minds like you have opined that I have, that is strong, feral, untamed minds at the psychotic end of the spectrum? Even if I am "projecting" --- as you have diagnosed --- then perhaps it takes a psychopath (like me?) to know a psychopath --- and so my argument would still stand unchallenged. Most feral minded people at the psychotic end of the human mental spectrum are not being treated with drugs and physical restraint, by nurses and doctors and psychologists and psychiatrists etc. Partly because most of the feeble minded domesticated neurotic sheeple herd are apparently more than happy to follow the lead of the psychopaths into the abyss. They actually appear to respect psychopaths as their leaders. I have something pretty astonishing to report... I found "ceecee's" husband on facebook along with her son. There was once an open-source data-mining tool that used a development API to scrape Farcebook data. The tool could be used for basic Association Analyses, similar to the Sherlock package apparently used by British intelligence. The tool's author sadly buckled after being issued with a (bogus) Cease-and-Desist notice by Farcebook lawyers. A really useful project to revive, if it isn't already. Should be useful for flushing out whole chains of online phonies like "Jevon", each fake being a node in a spider's web of phony authenticity. Last edited by reichstag fireman on Mon Sep 24, 2012 12:27 am, edited 6 times in total. Andrew1484 wrote: I really don't think that the argument that the psychopathic terrorists who carried out 9/11 would NOT have wanted to kill anybody on 9/11 makes much sense to me. Admins, get rid of this guy. He had no right to waste our time, and mislead our visitors, with theories about real victims that Simon debunked on the septemberclues.info site many years ago.